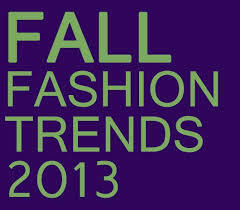 The Fall Trends are everywhere…. As my kids get ready to go back to school and there are no more vacations on the horizon, I find myself starting to look forward to fall. Don’t get me wrong, I love summer and the easiness of it, sundresses and flip-flops never get old, but I also like when the weather cools down and I can get back into a great trouser and a comfy sweater. Tonight I decided to take a look and see what Fall 2013 holds for me. While I don’t redo my wardrobe every season, I do update and add a few new fun pieces. Take a look at what the “experts” are saying. 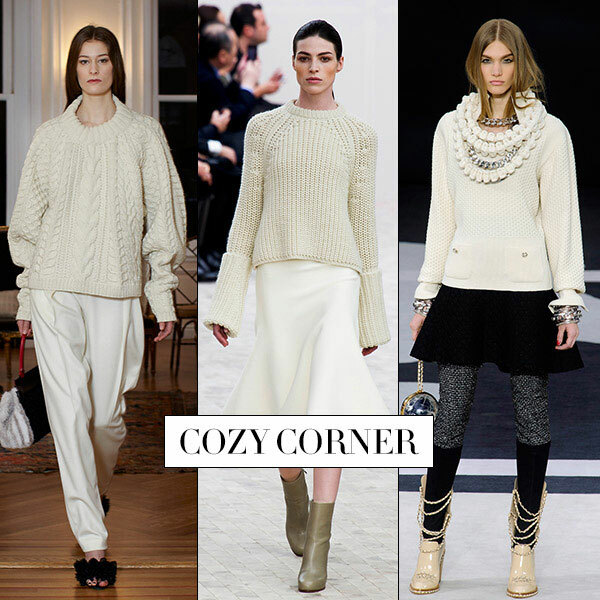 While not every trend works for every body, there is definitely something for everyone this Fall. I am really excited about some of the trends this Fall and can’t wait to bring them to you in our projects coming soon. 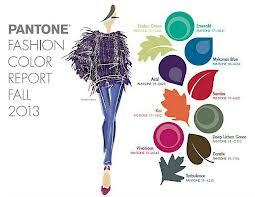 Here are the colors that we will be seeing this Fall. Everyone is still talking green. From emerald to olive, green is hanging around a bit longer. 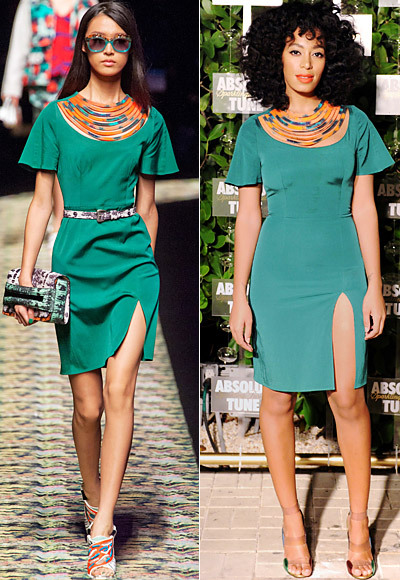 Beside green, head-to-toe black knocked prints off the runway, while pink, orange, and red really warmed things up. Cream and camel provided palette cleansers, while moody moss-green and inky sapphire brought sophistication. Outerwear is in. Try it in houndstooth, plaid, velvet, fur or leather. 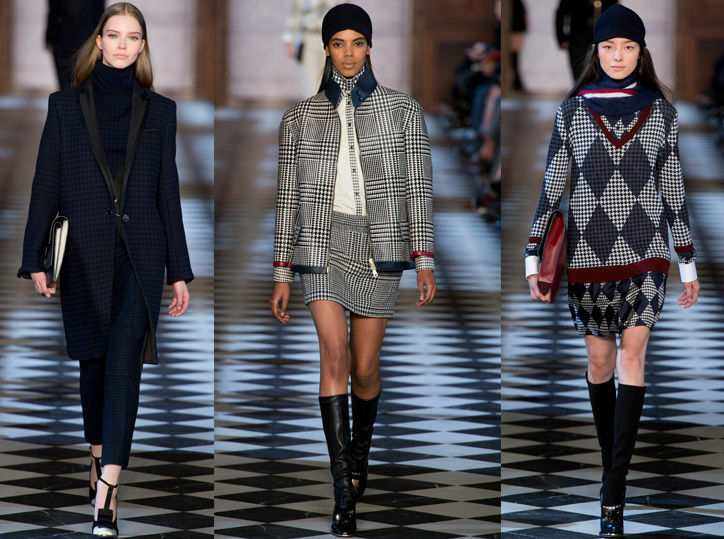 All these fabrics made an appearance on the Fall 2013 runway. 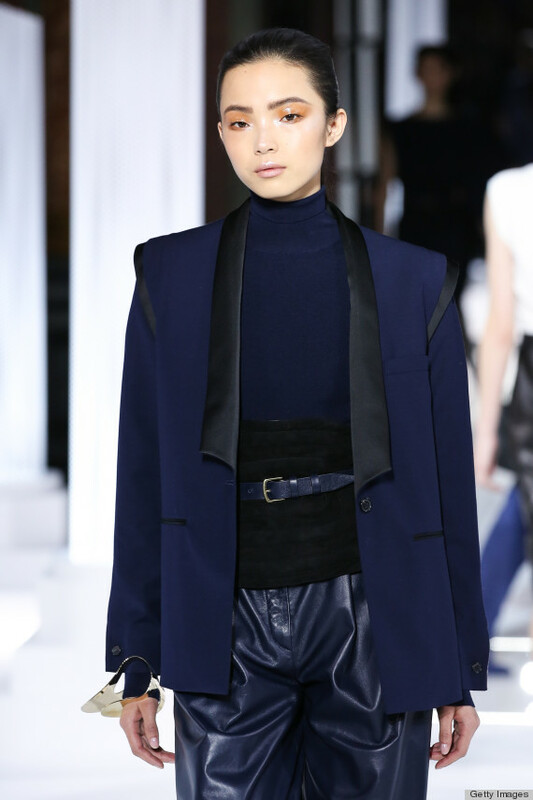 Leather never goes out, but this Fall try it in a deep blue, moss green, or burgundy. Embrace a classic print. From plaid to houndstooth, these classic prints are out in force. Like leopard, houndstooth, as well as other classic prints, pretty much go with everything. They really are a neutral. I love what Glamour says, “An old school menswear pattern in a 2013 cut is a recipe for chic if you ask me. Look for a houndstooth blazer for the office, which you can also wear with skinny jeans on the weekend.” I definitely think this is one trend I will jump on. Not having a good hair day? Hats are in. Cool caps made an appearance at just about every show, including Kate Spade and Tracy Reese. Despite its not-so-cool reputation, the plain old turtleneck is back in style. Think about it, , it keeps you toasty without adding bulk. Thanks to Glamour for “5 new ways to wear a plain ol’ turtleneck”. 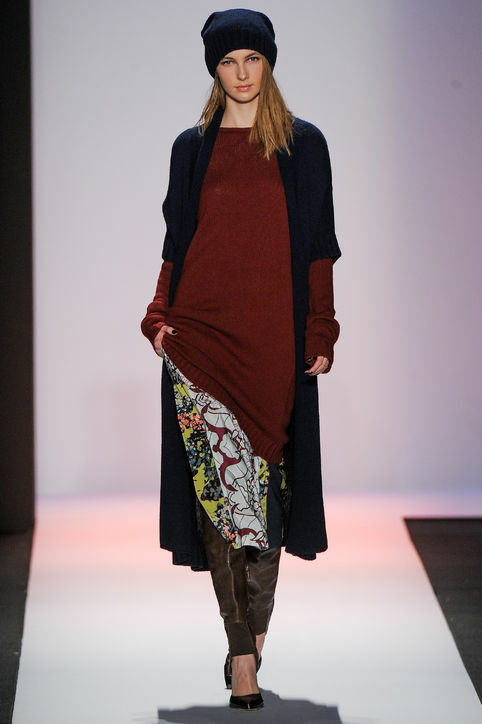 BCBG, as well as others, say layering in going to show up this Fall. While some of the runway combinations were a bit unconventional for my taste, I did like that they did keep the print and color to a minimum. Also since none of the pieces were bulky, the effect was still very streamlined. This trend may be one I have to think about. Dare to wear white. 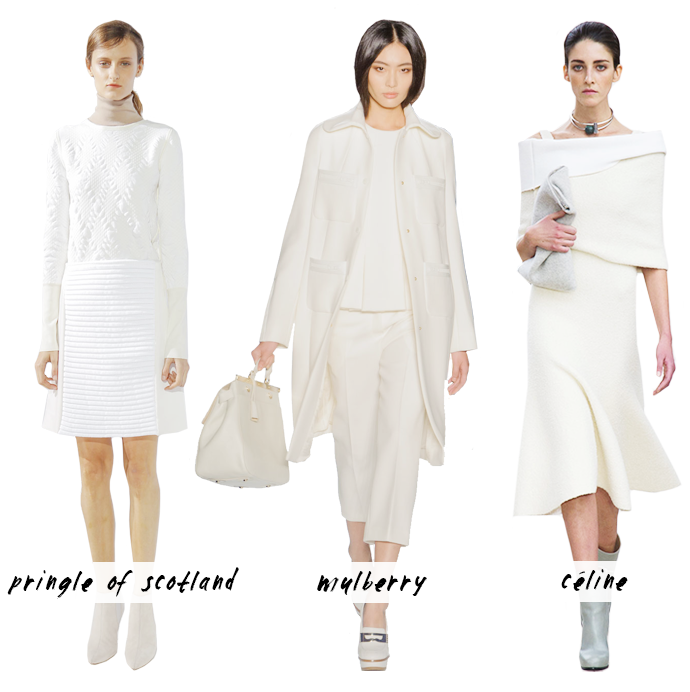 According to the runway, winter white will make a huge presents this Fall. Remember, as long as the fabric is appropriate, leave your lighter textiles, such as cotton, linen, and seersucker in the closet, and think more wool, cashmere, flannel, silk, and leather, you will be right on trend. 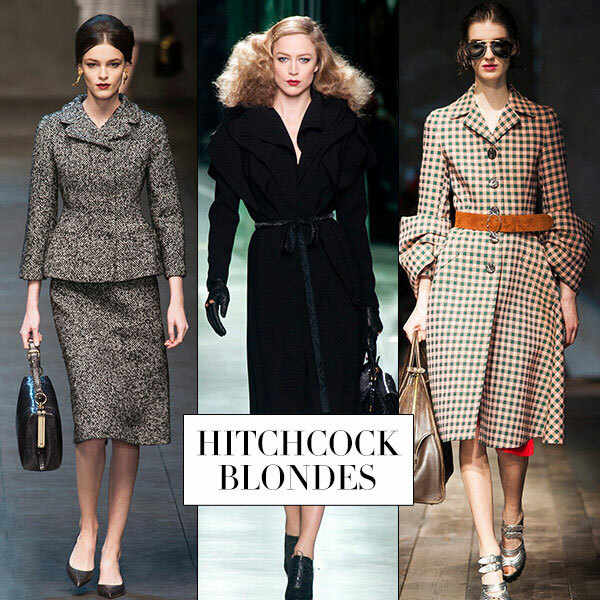 Try a chic coat for the office, a chunky sweater, or a wool dress. High slits and skirts below the knee. 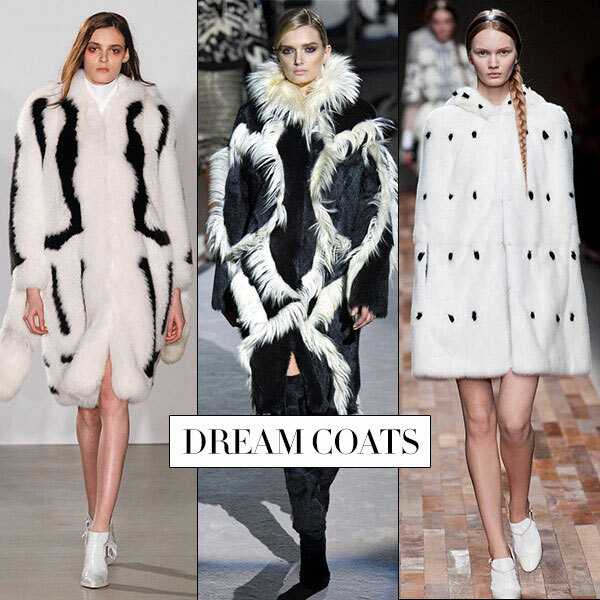 Fur, I say go faux, was hot on the runway. 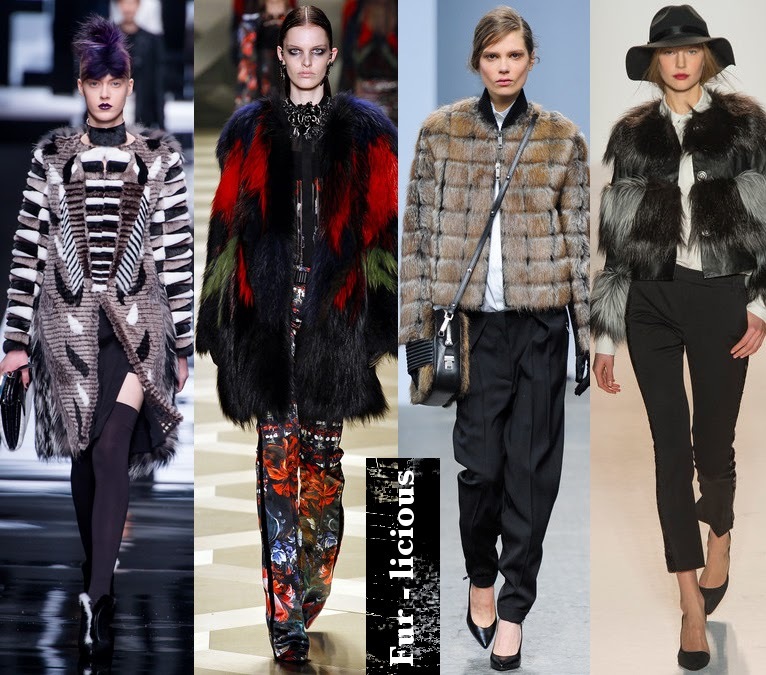 From a vest, to a hoodie, to a full jacket, fur is making a comeback. Wow, there are lots of great ideas to take away. I will be spending some time over the next few weeks talking to Robin and figuring out what new fabrics we have coming in for Fall and what projects we want to show you. Should be fun! Pillow, dog bed, or kid magnet? When “Best In Show” came in, we all thought it was a great new Home Decorating print. Robin thought it would make the cute dog bed, so off she went. She combined it with our brand new chenille fabric and a winning combination appeared. 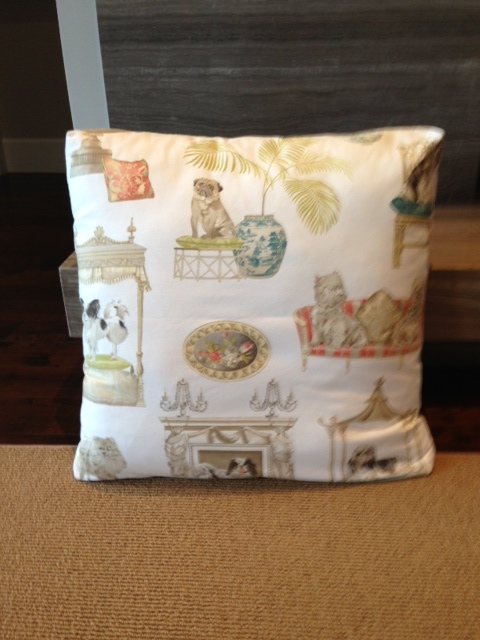 Making a pillow or dog bed is a pretty quick project that can infuse some pattern and color into any room. 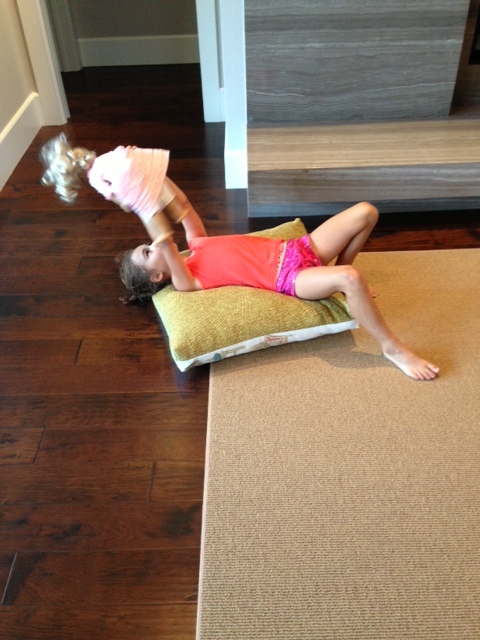 Here are a few pictures of the pillow coming together…. It immediately became a great place for Sarah to play. 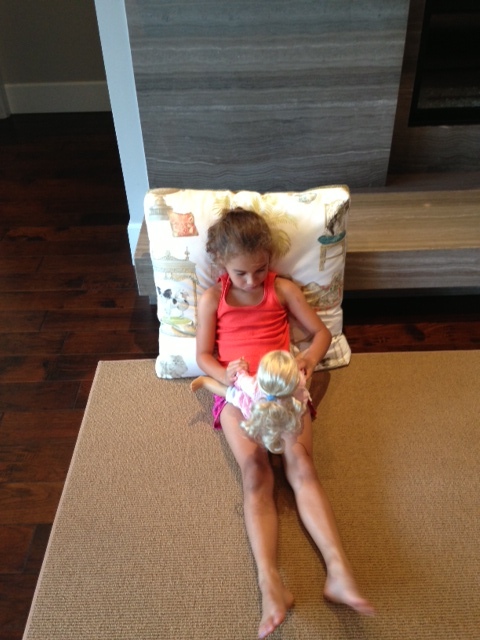 Before I knew it the doll was out and the pillow was not mine any more. As you’ll see below, she took her dogs and gave them a dog bed. Needless to say it took a few days to get the pillow back to work with. It is now in the window for you to see, but let me tell you Sarah was not happy about it. While the intention was a dog bed, it would also be a great throw pillow if it was a bit smaller, but for Sarah it was a great comfy new play place. 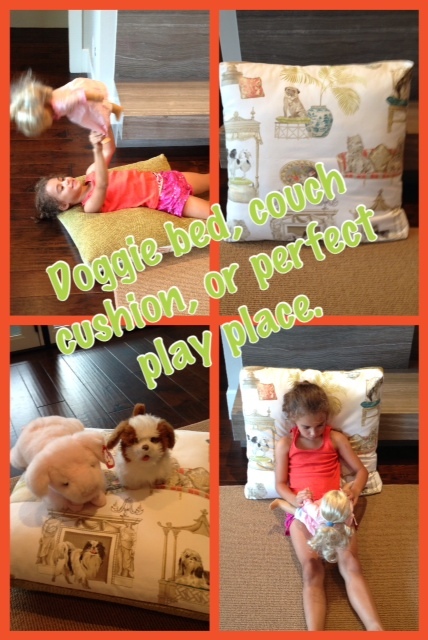 I guess you’ll have to make up your own mind, dog bed, couch cushion, or perfect play place? Lowpricefabric.com is proud to be a sponsor of Pattern Anthology’s newest patterns, The Alphabet Collection. It is available for purchase for a limited time only! Pattern Anthology is a collaboration of four pattern designers, Andrea, from Go to Patterns & The Train to Crazy, Kate, from See Kate Sew, Melissa from Melly Sews, and Shauna from Shwin and Shwin. A few months ago I was lucky enough to connect with Andrea and we hosted a group of bloggers for her event, Fabric Weekend 2013. You can read more about the day here. Andrea connected me with Kate and before I knew it we were part of this amazing pattern collection. The tour started last week and it has been great watching each blogger do their own interpretation of the Alphabet collection. I love that it is unisex and still so fun and interesting. It is just perfect for back to school. There are so many possibilities. By mixing and matching fabrics and textures you can create looks that go on for days and it looks like these bloggers did just that! 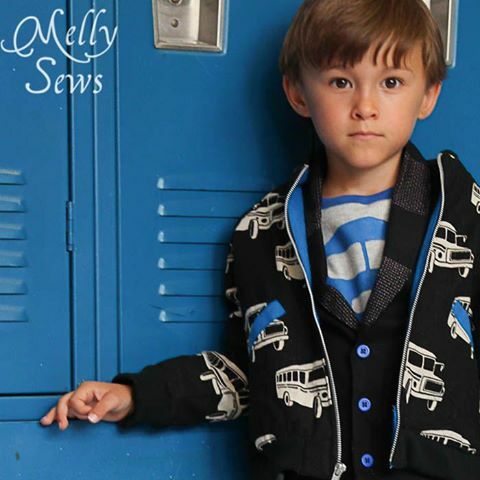 Our fabrics have been very popular with the Study Hall Jacket and the vest. Here are a few pictures. This yellow wool really adds that wow factor. Great pop of color! 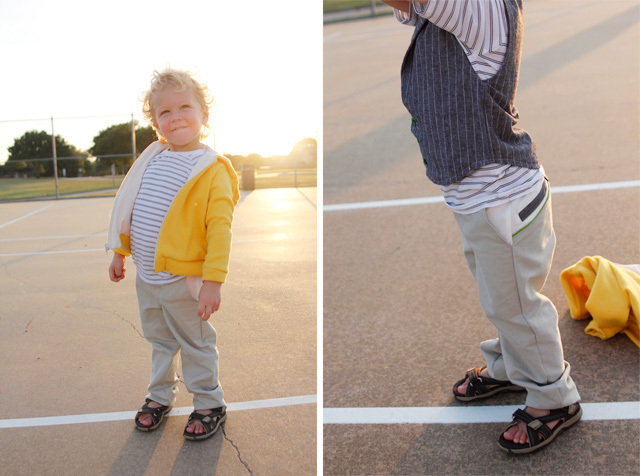 Also the suiting for the vest is a cute play on mens apparel. The Echino Bonnetbus is so cool! He looks ready to start learning! 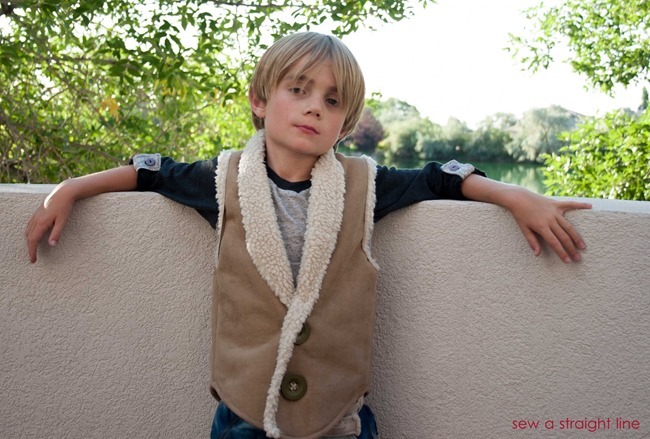 This warm & cozy sherpa vest is perfect for Fall. It’s almost like wearing your favorite blanket. I love what Shwin & Shwin did with this orange boucle. The texture is great and that gold zipper just takes it over the edge into perfection. 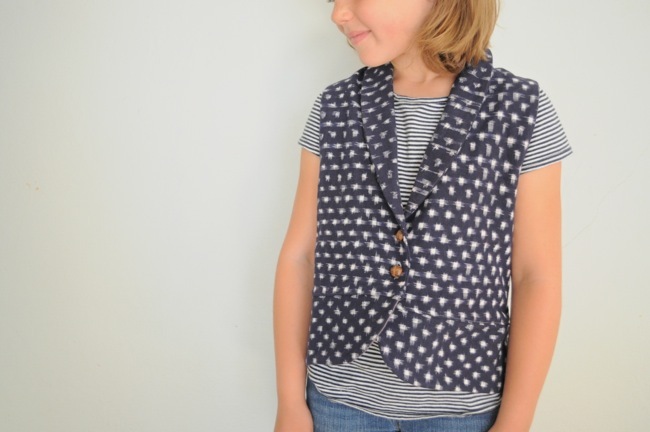 This vest from our Ikat is lovely. Just as Elsie says, it is just the right amount of grown up, yet still young at the same time. I love the racer back detail as well. And lastly, what girl doesn’t want this jacket? This faux fur adds a look of sophistication that any pre-teen would love. I’m looking forward to seeing the rest of the outfits. Every morning I go to work and look to see the newest creation. It’s a nice surprise. If you buy the pattern and make something with our fabrics please tag us or post it on our Facebook page. We love to see what you guys are making out there. Can you believe it is almost time for school to start?!? Enjoy the last few weeks of summer & get sewing! I feel like I have been talking about these rompers for a while. Sorry it has taken us so long to post this blog. We’re in the process of making changes to the site, as well as adding shelving for our growing inventory. Both exciting changes, but time-consuming! Without future ado, here are both the rompers…. Both rompers were made from McCall’s M6083. 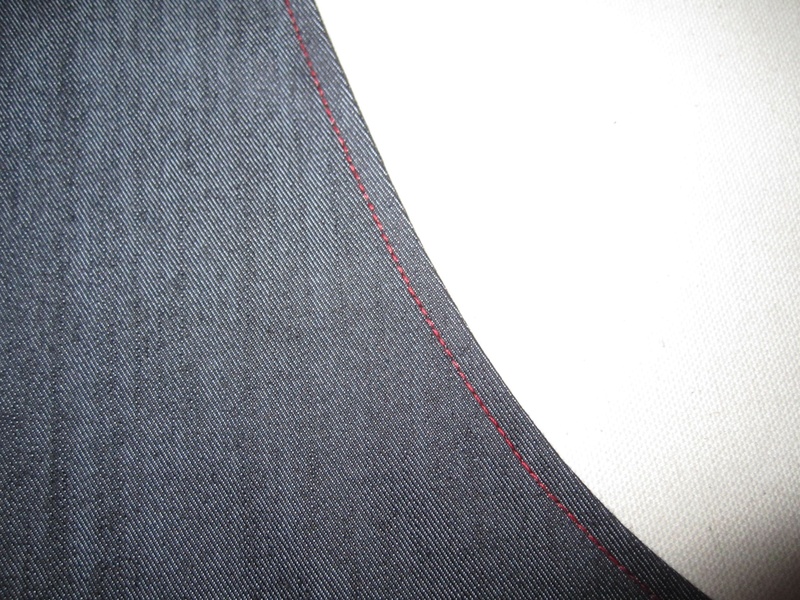 The first romper Robin put together is made from a stretch denim. It has a casual look and is great for day. Since we used a dark denim, with a little bling, this could go from day to evening very easily. Here are a few pictures as it went together. 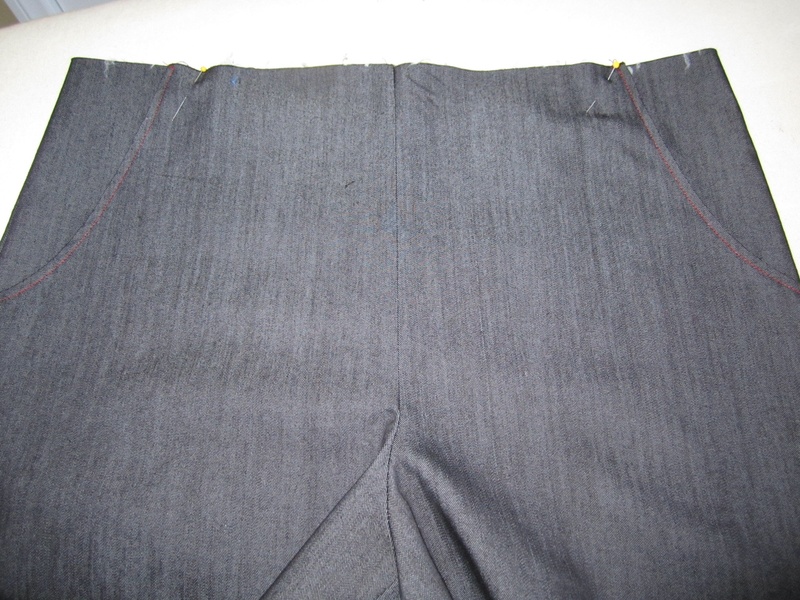 Pinning the two pocket pieces together. Contrasting stitching adds a little fun to this simple and classic look. 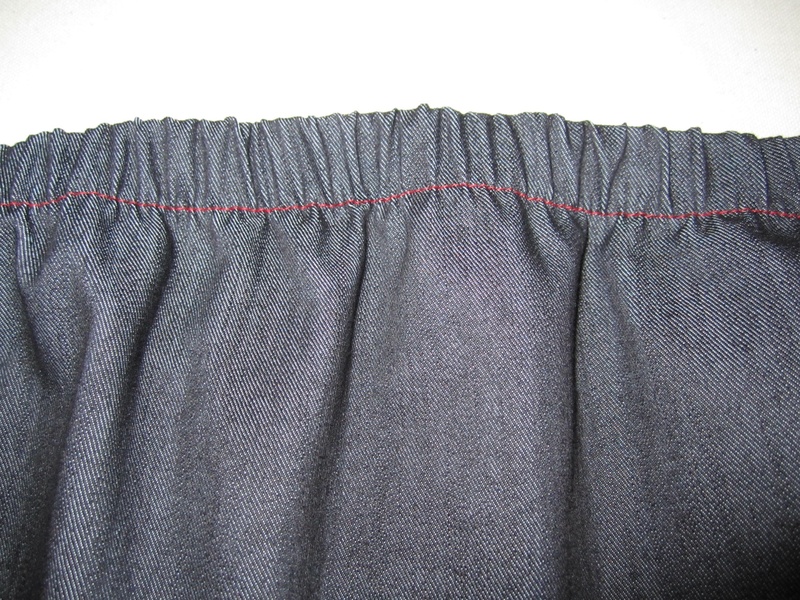 Serging the elastic on before you roll the fabric over. A little styling for the front entry. 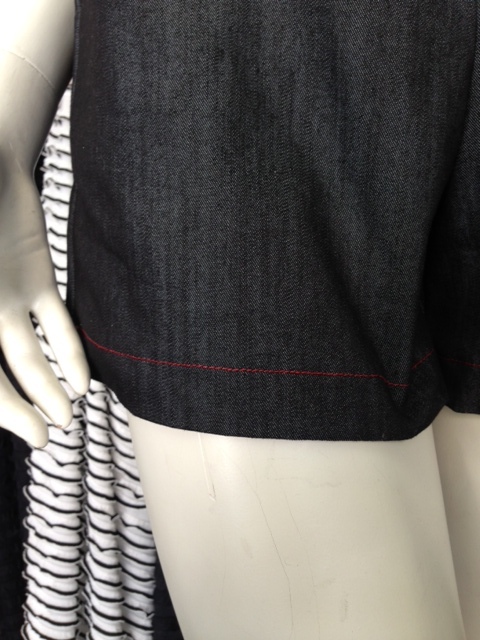 Contrasting stitch color on the shorts. Here is the finished project. It ended up going right to the front mannequin. Perfect summer piece. animal print a sophisticated feel. I absolutely love it! When I do get to Hawaii this will be great for a night out. Here are a few pics as this one went together. This is a great piece. It can be dressed up or down. I didn’t have time to accessorize my model, but just the little gold belt and heels are a good start. This could be made with any of our silks or printed charmuese. 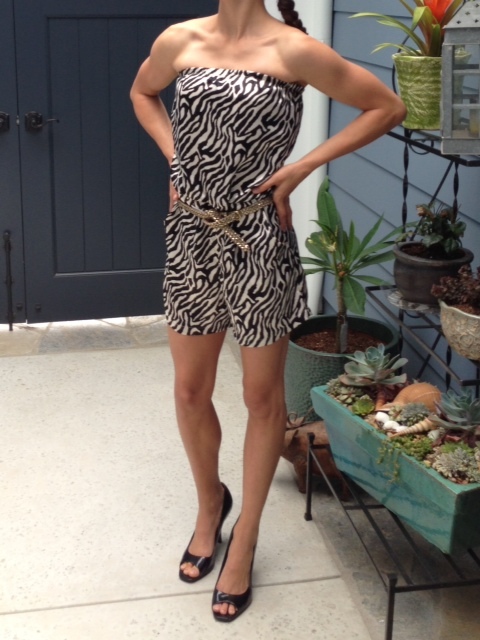 While I really like the romper both ways, this pattern needed some adjusting. We made a size 8 and had to lengthen the top portion to fit my bodice and go up one size in the bottom for my hips. Just a bit of advice so you don’t learn the hard way, like we did. Always better to think about these sort of issues before you cut into your fabric. If you’re built like I am you may want to make one size top and another size bottom.